ABR and other evoked potentials (e.g. ASSR) can be stored in Audiqueen. The ABR results are summarized in the list showing the stimulus used and the indices. Audiqueen displays a preview of the report. The original report can be readily opened with the proper software (e.g. Acrobat Reader for pdf reports). 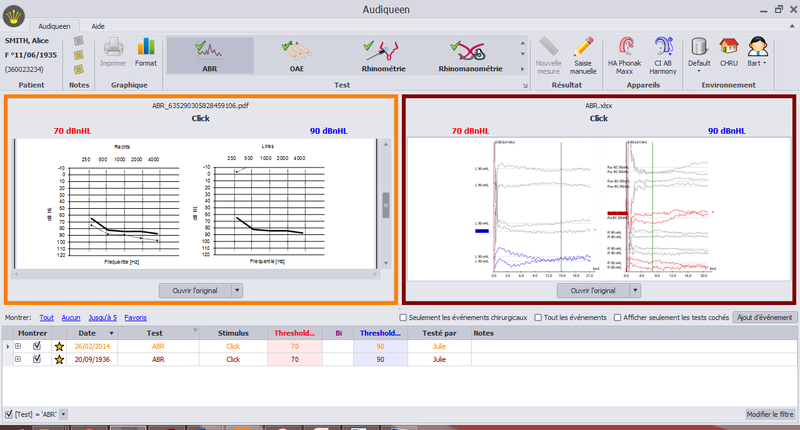 Audiqueen can connect to any PC-based Evoked Potentials testing instrument to automatically retrieve the measurement data.